Lightweight and easy to use service is designed for 1-person companies, professionals and freelancers. 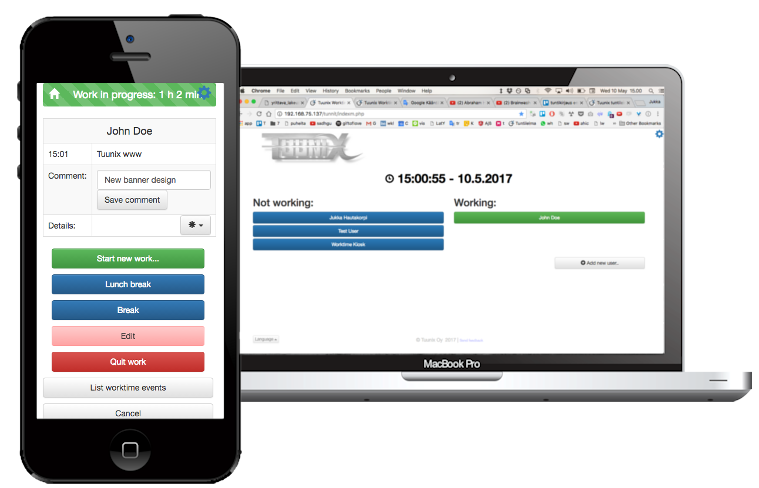 Easy monitoring of work hours ensures that no worktime is forgot and unbilled. Project reporting and versatile listings makes it easier to track and control project pricing. The service is suitable for both project and billing work. Create a common worktime kiosk from android tablet on the inbound of the office or production facilities!? Tuunix worktime is most suitable for freelancers, office workers, Industrial companies, as well as to other companies whose staff is most often able to make the start and end event of work, either from a desktop computer or from a mobile device. Of course, it is also possible to create the worktime event afterwards. The easier way to record worktime. 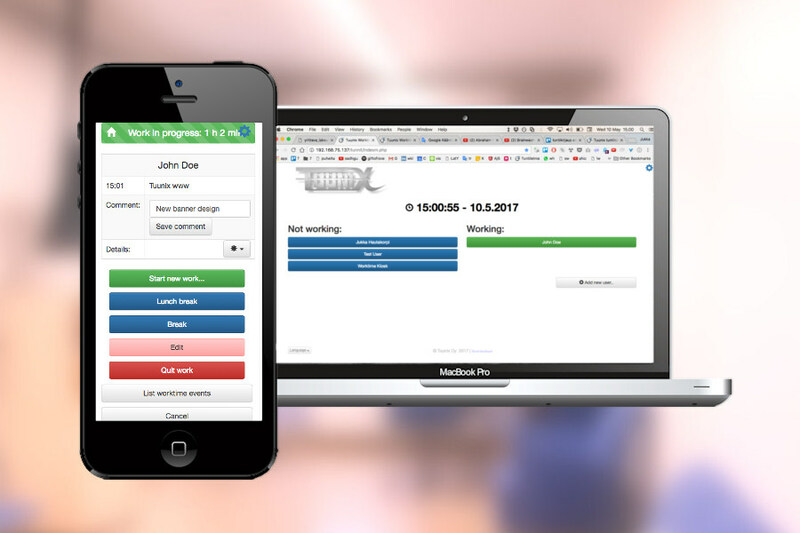 Tuunix Worktime is a simplified service that makes it easy to record worktime. This way, no time will be left without charging, and no wages will be left without paid on time. Want more information about the features? Simple pricing - No start up fees of thousands of dollars! In addition, the first month free of charge! Prices are VAT. 0% and when the service is paid for one year ahead. However, you can test the service for one month without any commitment! Why not start using the Tuunix Worktime right away? And you can start using it right away! The desired service level will be selected at a later stage. Registration does not require monthly payments - the service does not renew automatically without your approval! NOW LIVE: The service works on a computer's web browser and on mobile web browsers and now also as anAndrdoid-app. Tuunix worktime is a long-term development result and have been also tested and used for several months. Do you want to know details of some feature, or customize the program to be more suitable for your company? Please feel free to contact us to find out!